Let's celebrate - Atmosphere Resort turns 10 in November! 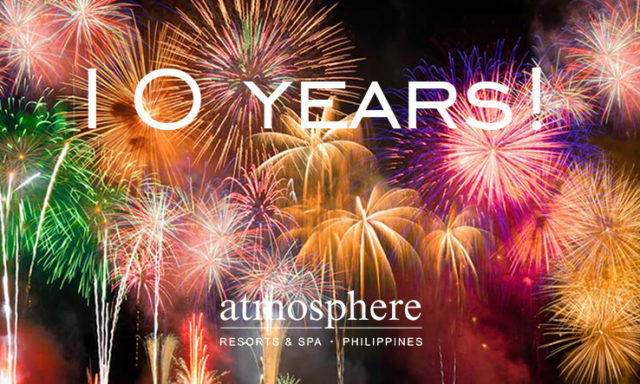 Let’s celebrate – Atmosphere Resort turns 10 in November! In November this year, Atmosphere Resorts & Spa celebrates 10 years since our opening in 2008. We are proud and excited that Atmosphere has grown so much over this decade and is fast becoming one of the most popular boutique resorts in Asia. We will take this excellent opportunity to celebrate with a weekend of festivities, nostalgia, surprises and fabulous wining and dining on November 30 and December 1.